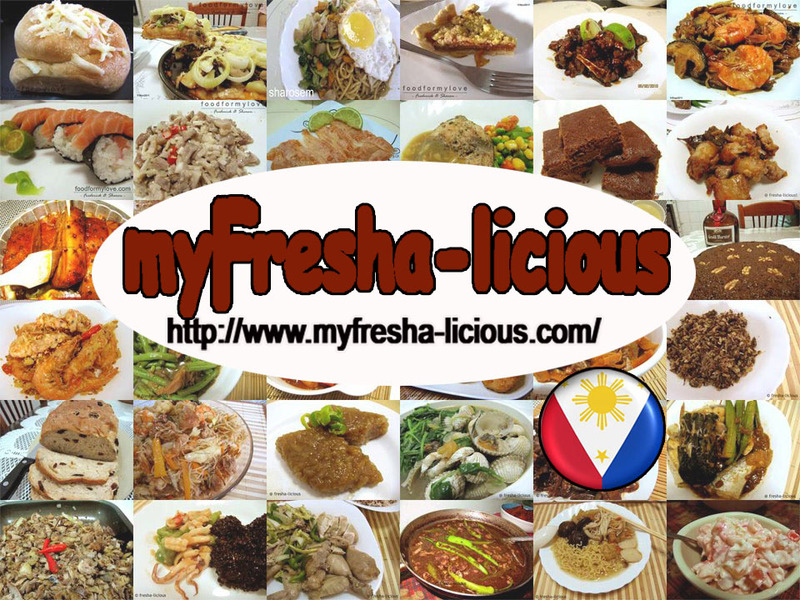 When we were going around a mall (here in Qatar) looking for my samsung galaxy note 2, my mind was deliriously imagining what to eat for dinner. That's what I do when my tummy is growling in hunger. 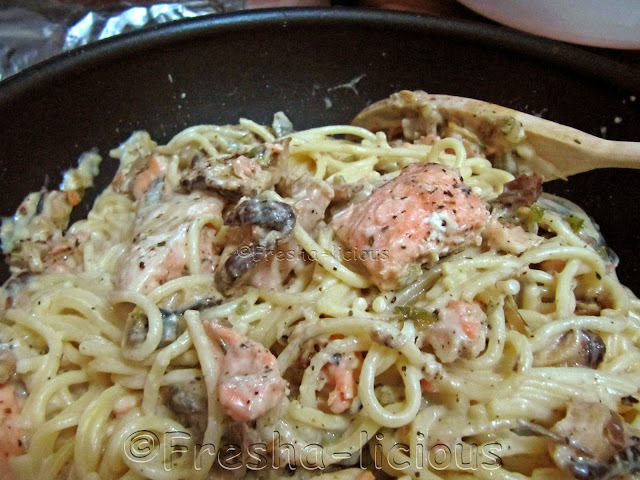 And the thought of salmon and pasta whetted my appetite and I can't wait to get home to cook a salmon-pasta dish. Though my husband dislikes pasta specially those in white sauce, I forced fed him. According to him, the taste was acceptable and he can tolerate eating my pasta dishes as long as I don't cook quite too often. He meant - I cook not more than once a month (evil grin). 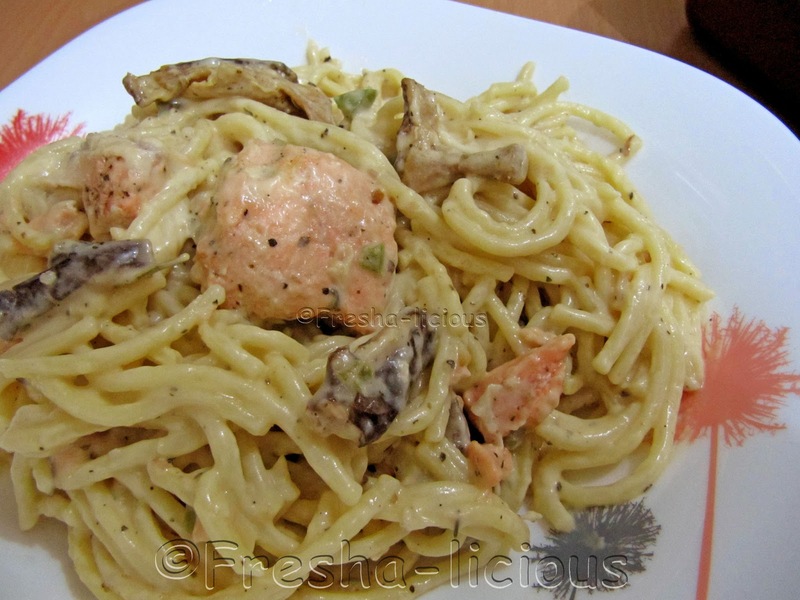 Spaghetti noodles - 300 g.
Salmon, diced - 200 g.
1. Cook the spaghettie noodles as directed in its package, drain and set aside. Do not wash with cold water. 1. Reconstitute the dried mushroom by soaking it in water for at least an hour. Drain well and set asaide. 2. In a sauce pan, place the oil and garlic on it and saute it until it is aromatic. Do not allow the garlic to turn brown. Add the onion and bell pepper. Stir. 3. When the garlic, onion, and bellpepper becomes fragrant or when the onion wilted, add the mushroom and stir. Season with the herbs, salt, and black pepper. 5. Melt butter under very low fire so as not to burn it. Remove from fire once melted. 6. Mix the flour with the melted butter thoroughly. Heat it under slow fire while stirring briskly for a a minute. 7. Pour in the milk, water, Knorr Chicken Cubes, salt, and nutmeg and bring to a boil. Stir continuously and break any lumps. The sauce must be homogenous. 8. Let the sauce simmer under low fire until it starts to thicken.